U.S. stock market have endured wild swings over the past few months, and some may wonder what has been driving equities so violently. 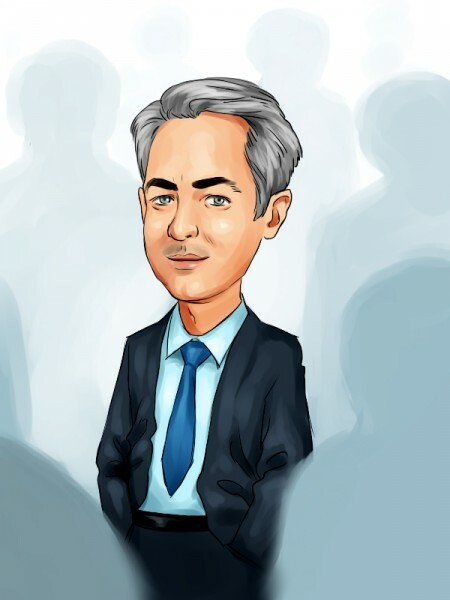 William Ackman of Pershing Square Capital Management believes that leveraged exchange traded funds, or the so-called ETFs, high-frequency trading and other kinds of leveraged strategies stand behind the recent market volatility. He also asserted at the Bloomberg Markets Most Influential Summit in New York that “there is a huge amount of money that moves without regard to long-term economic fundamentals”. It is worth pointing out that the reputable hedge fund manager is just one of the many who blame high-frequency trading for the wild swings in stock markets. However, the following article will discuss Ackman’s view on the pharmaceutical space; his stances on Valeant Pharmaceuticals Intl Inc. (NYSE:VRX), and his thoughts on Nelson Peltz’s activist stake in General Electric Company (NYSE:GE). Most importantly, the last paragraph of this article is reserved for William Ackman’s prediction on the 2016 presidential race. Following activist funds like Pershing Square is important because it is a very specific and focused strategy in which the investor doesn’t have to wait for catalysts to realize gains in the holding. A fund like Pershing Square can simply create its own catalysts by pushing for them through negotiations with the company’s management and directors. In recent years, the average returns of activists’ hedge funds has been much higher than the returns of an average hedge fund. Furthermore, we believe do-it-yourself investors have an advantage over activist hedge fund investors because they don’t have to pay 2% of their assets and 20% of their gains every year to compensate hedge fund managers. We have found through extensive research that the top small-cap picks of hedge funds are also capable of generating high returns and built a system around this premise. In the 3 years since the launch of our small-cap strategy the top small-cap picks of hedge funds have returned 102% and beaten the S&P 500 ETF (SPY) by more than 53 percentage points (read more details). William Ackman’s views on the pharmaceutical industry did not change after democratic presidential candidate Hillary Clinton announced her intentions to cut back drug costs and hold the pharma industry accountable for the high cost of medicine. He believes that it is of crucial importance that this “doesn’t lead to regulation that cuts back on innovation in any way”. Ackman reckons that there is a “self-fulfilling prophecy of more and more innovation” within the pharmaceutical industry, which should not be stopped. Moving on to his thoughts on Valeant Pharmaceuticals Intl Inc. (NYSE:VRX), the reputable investor considers that “Valeant has made a massive contribution to drug development”. He believes that acquirers of drugs like Valeant have spurred research and development activities and have propelled investors to pour in more capital into the industry. Most importantly, Pershing Square Capital Management’s CEO and Portfolio Manager outlined that Valeant Pharmaceuticals Intl Inc. (NYSE:VRX), which represents the largest position in his firm’s portfolio with 19.47 million shares, is the most undervalued stock from his portfolio and has the most attractive risk/reward potential. Fundamentally Ackman is making a very simple point. Research oriented drug companies spend too much money on R&D projects most of which don’t generate any meaningful revenue. And when they come up with successful drugs (by the way this happens less than 10% of the time), they don’t charge enough money. Valeant noticed this fact and has been acquiring these companies above prevailing valuations and is able to do this because it can increase the drug prices and cut unproductive R&D expenses. Do Hedge Funds Agree with Jim Cramer on These Hot Stocks? These Two Stocks are in Spotlights Today for Very Different Reasons SkyWest, Inc., Lattice Semiconductor, Blue Buffalo Pet Products Inc: Why Are... Why Are These Stocks Plunging on Monday? VMware, Inc. (VMW) , Infosys Ltd ADR (INFY): Why Did These Stocks Fall Today... What Hedge Funds Have to Say about These 3 Trending Stocks?